Your mom, the person who brought you into this world and sacrificed a lot so that you can be happy, is without equal. If you have wronged her, apologize sincerely and make her feel loved. 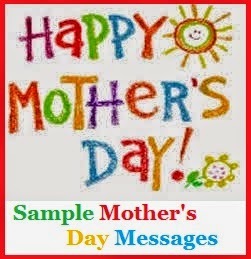 Here are sample sorry messages for mom for those times when you just can’t find the right words to say. So if you have been rude to your mom, you need to apologize to her right away. 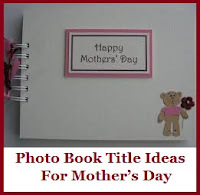 Give something special as a sorry gift to mom and let her know how much you value her. Here are a few sample messages for being rude to Mom. 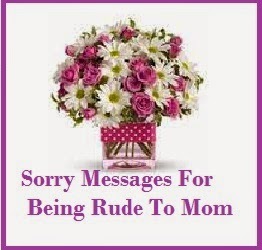 Read on to find the pefect sorry wordings for being rude to Mom. All the stress has taken its toll mom. Rather than coming to you for help, I only pushed you away. I am sorry about everything. I love you. It doesn’t matter why I was being the way I was, it just matters that I did not talk to you like I should. Please forgive me Mom. You have been a constant support for me all my life and I shouldn’t have behaved so rudely with you. I want to make up for it. Please? You are so important to me mom. I love you and I apologize for the way I was behaving yesterday. Would you please forgive me? From now on I will try to be the daughter you always expected of me. I am sorry mom.You know I love you! I have put you through so much trouble and you still love me so much. Mom you are the best and I am sorry for everything. Today will be your day. I will do everything you ask of me and I will be a good son to you. I am sorry for being rude to you mom. I am so stubborn mom. I have realized it now and I can see how immature I am. I promise to grow up and be a better person. I feel really sorry for being so stupid and for being rude to you. I want to say sorry to you with all my heart. I know I was wrong and I apologize for the way I behaved with you. Please forgive me. I mean everything I am saying and so, please know that I am apologizing to you with all my heart. You are the best mom in this world. Mom I want to hug you tightly and tell you that I won’t repeat my mistakes ever again. I am sorry for everything. Sometimes " SORRY " says it all. Sorry messages can really help to get it all out. 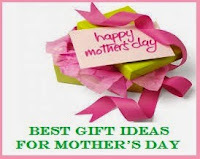 Here is an excellent collection of I am sorry messages for mother which can really help you to seek forgivenss from your mom easily. Your mom's truly deserves respect and love at all times. In case you made your mom upset and have disappointed her with your behaviour and actions then you must apologise. 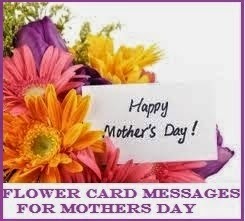 Read on to find the perfect, heartfelt and most respectful sorry messages for mom. Sorry, mom for being disrespectful by talking to you that way. It was a shameful thing for a son/daughter to do after all you have done for me. It won’t happen again. Please forgive me, mom. Hi, mom. Please don’t be angry when you see the house in a mess. I’ll clean it up as soon as I get back. I’m sorry. Don’t worry, mom. I will also clean the bathroom and the garage. See you later. I love you. Frustrations come in many forms, sometimes I am one those. I am sorry for failing the exam. Although I didn’t make it this time, I will continue to strive until I pass. Sorry for wasting time and your money on tuition and allowances. I will work this summer to try and make up it. I am sorry, mother. I didn’t mean to hurt you; but I could no longer live a life of pretense. I am gay. I understand if you could not accept my lifestyle and it will take time if ever you will. I assure you that I will remain your good son/ daughter who will love you forever. Mommy, I am sorry I made you worry last night. It was a huge mistake for me to get too drunk to answer your calls. If not for my friend I wouldn’t be able to go home. Now, I feel like a worthless blob. It won’t happen again. Next time, I will let you know where I am and will learn to control myself. Please forgive me, mommy. You gave up your happiness so that I can be happy, I committed such a big mistake that I became a source of your grief. I am so sorry, mom. Instead of being your reason to smile every day, am becoming the reason you have lost your daily bright mood. I am so sorry for being an inconsiderate son/daughter. I will change my ways and I will try my best to make the rest of your days better from now on. Mom, you were always there during times when I was down. I feel so bad that I cannot be with you now that you needed someone by your side. If only I have the resources to be there right now, I will. I am so sorry. I will do whatever I can to be with you soonest. I acted like a monster. It was totally wrong of me to be mean to you. I failed to listen to your words of concern because I let my anger rule me. I am very sorry, mom. I want to change for the better and I will be more receptive. Mommy, while it is just normal to have misunderstandings every now and then, my being disrespectful to you was totally wrong. You have always wanted me to be a successful and humble person and now I understand that. I am so sorry. Please forgive me. Mom, the moment you gave birth to me, your life was never the same. You gave up a lot of opportunities just to be with me. I am so sorry that I became a disappointment after all the sacrifices you made. I promise you that I will keep on striving to be someone you can be proud of. I’m sorry, mom, I made a big mistake. I just wanted to experience being independent and now it got me into trouble. I thought I was mature enough, but I was wrong. I am very sorry that I misunderstood your intentions. Idealism will get me nowhere. Now I understand that I have to accept the reality of your divorce with dad. I am sorry for being selfish. I want you to be happy and I want you to know that I fully accept your decision. I love you, mom. Mom, all these years, I gave you lots of heart aches. I have been disobedient; and I am deeply sorry for everything. I have learned my lessons and I wish to come back to you and make it up to you. I hope you forgive me. Mommy, as long as the stars shine each night, I will continue to pray and ask forgiveness from God and from you until you find the day that you can accept me as your son/ daughter again. I am truly sorry. I love you. Mom, I want you to know how sorry I am about last nights fight. I know I became so rude. I promise to behave better. Sorry mom and I love you. Dear Mom, I’m so sorry for the unfortunate incident we just had. I want to say sorry mom. Please forgive me. I’m sorry mom for not doing what you wanted. I know it’s so disobeying but please understand me mom. I’m sorry and I love you! My dear mom, I love you so much and I treasure you in my life. But sometimes I’m so stubborn and I want to say sorry about it. Sorry mom if sometimes I fail you but believe me I am always trying to make you happy. Mom, you are so dear to me and I have come to realize my behaviour last night. I know it was truly unreasonable. Mom, I want to say sorry and I hope you will forgive me. I was so careless and I know I did cause you much stress. Mom, I’m so sorry, I didn’t mean to hurt you. I promise to be a good girl/boy. I will never repeat my mistakes again. My dear mom, you are so loveable and I was so guilty hurting you. Actually, it was not my intention. Please forgive me mom, I am so sorry! Mom, I know you raise me to be a good girl/boy however sometimes I fail you, and I will never deny that fact. 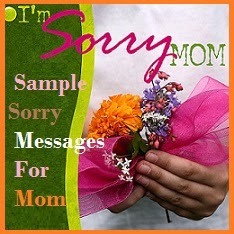 Mom, sorry is all I can say for now but I promise to change my negative attitude. I want you to be proud of me. Mommy, I’m so shy about my attitude last night. I’m sorry mom. I hope I can make it up to you. 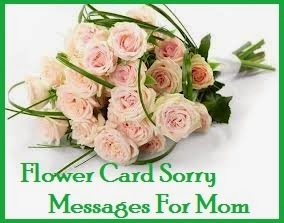 Dear mommy, this is to express how sorry I’am about last evening. Sorry mom and I promise not to do that again. Mommy, I feel so guilty and I am so sad with what I did to you. I know you are very disappointed with my behaviour. Sorry mom if sometimes I fail you but it doesn’t mean that I do not love you. Mom, I’m sorry. Sorry mom, maybe I used wrong words that hurt your feelings. I didn’t mean to hurt you. You know I love you and let me make it up to you. Sorry mom!